Complete softvare solution for practice management. On this page you can view list of balance for selected patient, you can set up new balance or change patient balance. 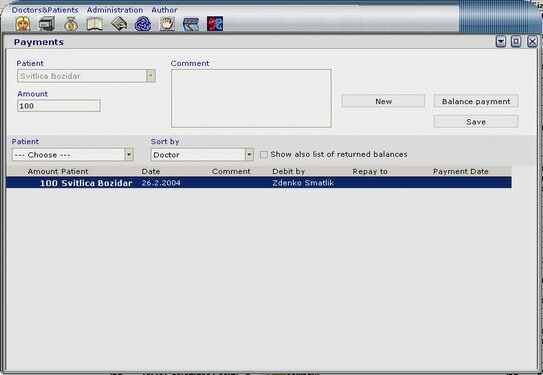 � In table you can see list of patient balances. You can change sort order by selecting appropriate value from Sort by list.